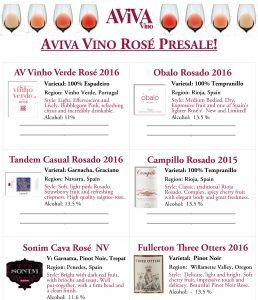 Each year, many import and distribution companies come out with some of their favorite Rosés for the year in a Pre-Sale. Does this mean this is the only Rosé we work with for the year? 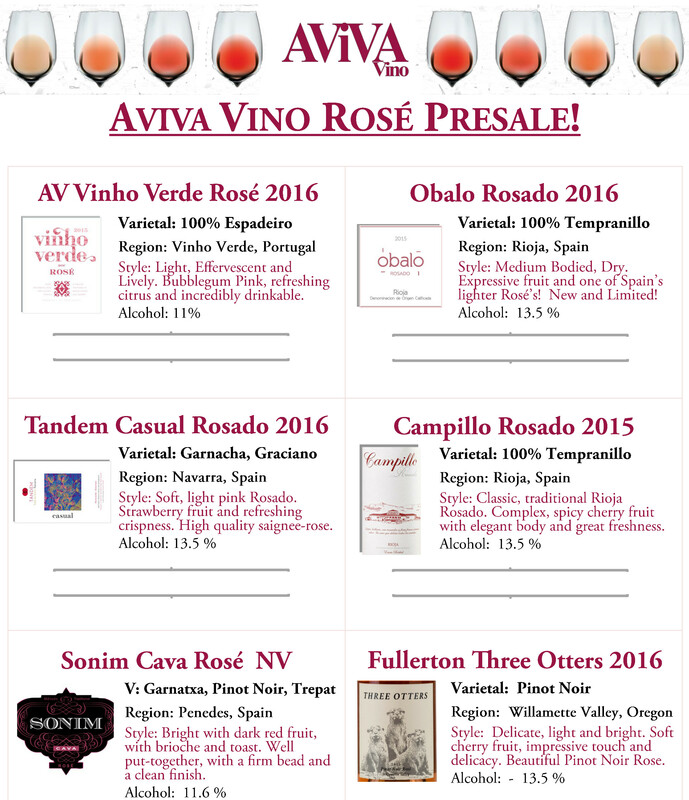 No quite; However, this is a selection of Aviva Vino’s additional focus for Spring of 2017. To further support the claim of a Selection of the Finest Wines from Spain, and Beyond – you’ll find Spanish, Portuguese, Sparkling and Still, and even a domestic Pinot Noir Rosé! Pre-Orders for a limited time. Contact your local salesperson! **Please note! Many of these items are on a limited basis, and are first come, first served. A commitment is a reservation of product.